Personally, I am a horrible dancer, so it wouldn't take much to be better than me. Still, I would think I could at least hold my own against a bird ... but definitely not this guy. 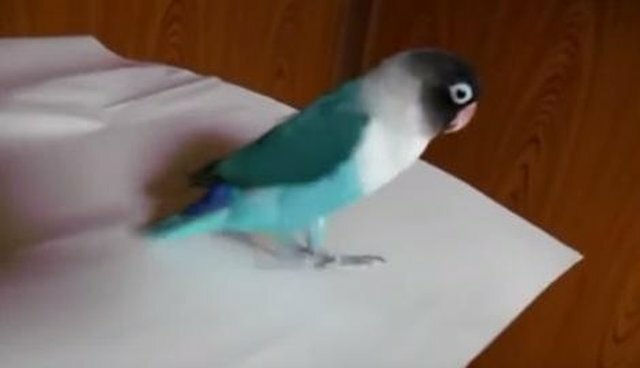 This little parrot may look unassuming, but he has a secret special skill: tap-dancing. Usually, the most incredible thing we see birds do is talk, but this guy has way surpassed that skill, and is on to bigger and more coordinated things. This guy can dance forward and backward and perfectly in time with the music that's playing. He's infinitely more talented than I am - and, let's be honest, probably many of us. Dancing is hard, but not for this guy.